Did you know that you, as a teacher, have the right to suspend a student? (a) A teacher may suspend any pupil from the teacher’s class, for any of the acts enumerated in Section 48900 (see below), for the day of the suspension and the day following. The teacher shall immediately report the suspension to the principal or the principal’s designee for appropriate action. If that action requires the continued presence of the pupil at the school site, the pupil shall be under appropriate supervision, as defined in policies and related regulation adopted by the governing board of the school district. As soon as possible, the teacher shall ask the parent or guardian of the pupil to attend a parent-teacher conference regarding the suspension. Whenever practical, a school counselor or a school psychologist shall attend the conference regarding the suspension. A school administrator shall attend the conference if the teacher or the parent so requests. The pupil shall not be returned to the class from which he or she was suspended, during the period of suspension, without the concurrence of the teacher of the class and the principal. (b) A pupil suspended from a class shall not be placed in another regular class during the period of suspension. However, if the pupil is assigned to more than one class per day, this subdivision shall apply only to other regular classes scheduled at the same time as the class from which the pupil was suspended. (c) A teacher may also refer a pupil, for any of the acts enumerated in Section 48900, to the principal or the principal’s designee for consideration of a suspension from the school. 48900 Grounds for Suspension or Expulsion; Legislative Intent. a) Causing, attempting, or threatening to cause physical injury to another person. b) Possessing, selling, or furnishing any firearm, knife, explosive or other dangerous object, unless possession is with written permission from a certificated employee concurred in by the principal. c) Unlawfully possessing, using, selling or furnishing, or being under the influence of, any controlled substance, an alcoholic beverage, or intoxicant. d) Unlawfully offering, arranging, or negotiating to sell any controlled substance, and alcoholic beverage, or intoxicant, and then either selling, delivering, or furnishing to any person another liquid, substance, or material and representing it as a controlled substance, alcoholic beverage or intoxicant. e) Committing or attempting to commit robbery or extortion. f) Causing or attempting to cause damage to school or private property. g) Stealing or attempting to steal school or private property. h) Possessing or using tobacco. i) Committing an obscene act or engaging in habitual profanity or vulgarity. j) Unlawfully possessing or unlawfully offering, arranging, or negotiating to sell any drug paraphernalia. k) Disrupting school activities or willfully defying valid authority. (Applies only to grades 4-12.) Ed. Code 48900.
l) Knowingly receiving stolen school or private property. m) Possession of an imitation firearm so substantially similar to an actual firearm as to lead a reasonable person to conclude that the imitation is a firearm. n) Committing sexual harassment, as defined. (Applies only to grades 4-12.) Ed. Code 48900.
o) Causing, attempting or threatening to cause, or participating in hate violence as defined. (Applies only to grades 4-12). Ed. Code 48900.3.
p) Intentional harassment, threat, intimidation of pupil or group of pupils that materially disrupts or creates a hostile educational environment. Ed. Code 48900.4.
q) Committing or attempting to commit a sexual assault or battery, as defined in penal code. r) Harassing, threatening or intimidating a pupil who is a complaining witness or a witness in a school disciplinary proceeding. s) Unlawfully offering or selling the prescription drug Soma. t) Engaging, or attempting to engage in hazing. u) Engaging in the act of bullying. The above-listed acts must be related to school activity or attendance to be used as a basis for suspension or expulsion. Ed. Code 48900. The suspension is to be the last resort after the failure of other forms of discipline. Ed. Code 48900.5 and 48911. However, the Attorney General has ruled that suspension or expulsion may be imposed upon students for conduct away from school premises, outside of school hours and not involving a school activity or attendance when the nature and extent of such conduct have become common knowledge among other students at the school and parents of other students have expressed concern because of the contemptuous attitude of the students engaged in the questionable conduct. 48 Ops. Atty. Gen. 4 (1966). It is the intent of the Legislature that alternatives to suspension or expulsion be used for pupils who are truant or tardy. Ed. Code 48900. During the lunch period, whether on or off campus. During, or while going to or from, a school sponsored activity. A teacher may suspend for up to two days for acts enumerated in Education Code section 48900, e.g., causing or threatening bodily harm, possessing weapons, drugs, alcohol, using tobacco, stealing or receiving stolen property, damaging or attempting to damage school property, robbery, extortion, “disruption of school activities or willfully defying valid authority.” Ed. Code 48910. You must report the suspension to the principal immediately and send the student to the principal’s office. You must ask the parent to attend a conference regarding the suspension and arrange for the school counselor/psychologist to be present if possible. Principal can decide to keep the child on site, but “The pupil shall not be returned to the class from which he or she was suspended, during the period of the suspension, without the concurrence of the teacher of the class and the principal.” Ed. Code 48910(b). The suspended pupil shall not be placed in another regular class during the suspension. Ed Code 48910(b). You may also recommend suspension from school. The district shall adopt a policy authorizing teachers to require the parent or guardian of a pupil suspended by the teacher to attend a portion of the school day in the classroom from which the pupil was suspended. Parents are to be notified of the policy prior to its implementation, and are to meet with the school administrator after the classroom visitation. Ed. Code 48900.1. Parents are protected against unfair treatment in their employment in retaliation for being absent from work for 40 hours per year (not to exceed eight hours per month) for each child to participate in the child’s school. LABOR Code 230.8. A teacher may also recommend a pupil for suspension from school, but the final decision lies in the hands of school administrators after following detailed procedures. These suspensions may last for no more than five (5) consecutive school days and the student has certain rights to at least an informal conference before being suspended. “Wherever practicable,” the referring teacher is to be present. If the student poses “a clear and present danger,” however, suspension can precede the conference. Ed. Code 48911. Once the student returns, the teacher can require him/her to complete missed assignments or tests. Ed. Code 48913. In a given year, a student cannot be suspended for more than twenty (20) days from a given school, or thirty (30) days if he/she transfers to another school. Ed. Code 48903. 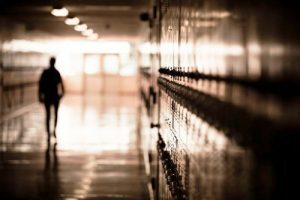 A pupil who is an individual with exceptional needs (i.e., a “special education” pupil who has an IEP) may be suspended for up to ten (10) consecutive school days if he or she poses an “immediate threat” to the safety of himself/herself or to others. Where the individual is “truly dangerous”, the suspension may exceed ten (10) days, or the pupil’s placement (IEP) may be changed, or both, if either the parent or guardian agrees, or a court order so provides. Ed. Code 48911(h).